This article provides info about creation an ABAP unit test class that might significantly reduce the future maintenance cost at the testing level. The flow is simple – you design your functional tests in advance and then you create your code. You can run the test class repeatedly to tell you which tests still didn’t pass. It is always good to modularize our programs to achieve easier maintenance and re-usability in the future. If we want to check specific parts of our programs for correctness repeatedly, it’s the right decision to use a tool for unit testing – ABAP Unit. ABAP unit is based on ABAP objects where the global class CL_AUNIT_ASSERT contains methods which can be used for testing .Tests are usually implemented in local classes. Inside the local class the necessary method from the global class can be called for testing. These test classes can be written inside the program or class of function module for which the test is to be done. Even if it never affect your production code, you should be very careful your tests don’t modify any production data. 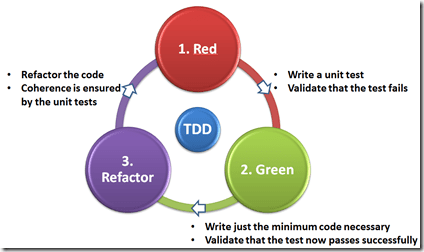 We will follow the test driven development approach: create dummy methods -> write tests for them -> implement the methods until all test are passed. result = lr_class->factorial( 4 ). result = i_val1 + i_val2. result = i_val1 / i_val2. result = result * sy-index. 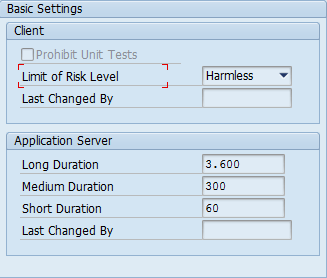 HARMLESS – The execution of this test doesn’t affect any existing processes or Database. CRITICAL – This type of test would make changes to Customization as well as the Persistent data. A careful look is required. Test fixture is the test configuration like test data or test objects. This data would be used within the test methods. Fixture would be executed before the actual test method gets executed. So when the test is getting performed, the test data or test objects setup in fixture method can be used. In ABAP, the test fixture is achieved using these predefined methods. These method would be called automatically by ABAP framework if they exist in the test class. Special method SETUP( ) is used to setup the common test data for the same test methods of the same test class or of the inherited test class. This method would be called before calling the test method by the ABAP Unit framework. So, basically it would be called as many times as many test methods are there in a single test class. In this method, you should generally setup your test data which can be leveraged by various different test within the same test class. Simple example, would be to setup default value for a variable, or instantiate the object for Production code. Special method TEARDOWN( ) should be used to clear down the test data which was used by the actual test. You should use this method to clear the test data and make sure they are ready to use by the next Test method. This method would be called after calling the test method by the ABAP Unit framework. Similar to SETUP, this method would be called as many times as many test methods are there in a single test class. In this method, you should generally setup your test data which can be leveraged by various different test within the same test class. Simple example, would be to clear the product code objects or all attributes of the test class and make sure it is ready for next execution. Method CLASS_SETUP( ) is a static method. Set up the test data and save it into some temporary variable. We can use these test data into the SETUP method. The purpose of CLASS_SETUP is to set up the same data like a configuration which would be used by all test methods but NONE of the test method would be modifying it. Static method CLASS_TEARDOWN would to make sure you clear up all the data and related attributes used in the test class before leaving the class. This entry was posted in ABAP, Development, Tools, Uncategorized and tagged ABAP, OO, test driven development, Unit test by Spider. Bookmark the permalink.